This recipe is a mouthful, but is simple to put together and is done within 3 hours! In the featured picture, I made a Chicken Chile Verde salad out of it by sauté some yellow bell peppers, adding diced tomatoes, sliced avocados, and topped on a bed of arugala! The chicken was so juicy and flavorful that I didn’t have to use a dressing. I just added a squeeze of lime juice from a sliced lime and it was bursting with flavor! Place the sliced pablano pepper and onions at the bottom of the slow cooker. Place the chicken breasts on top of the pablano slices and onions. Then sprinkle the garlic powder, cumin, sea salt, and pepper over the chicken. 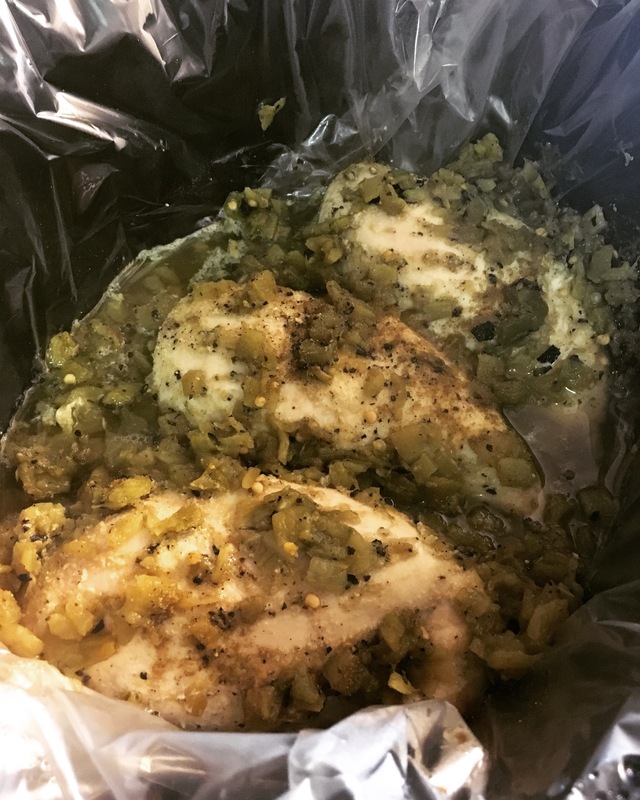 Next, pour both cans of the diced green chile evenly over the chicken breasts and then cook on low for 3 hours. 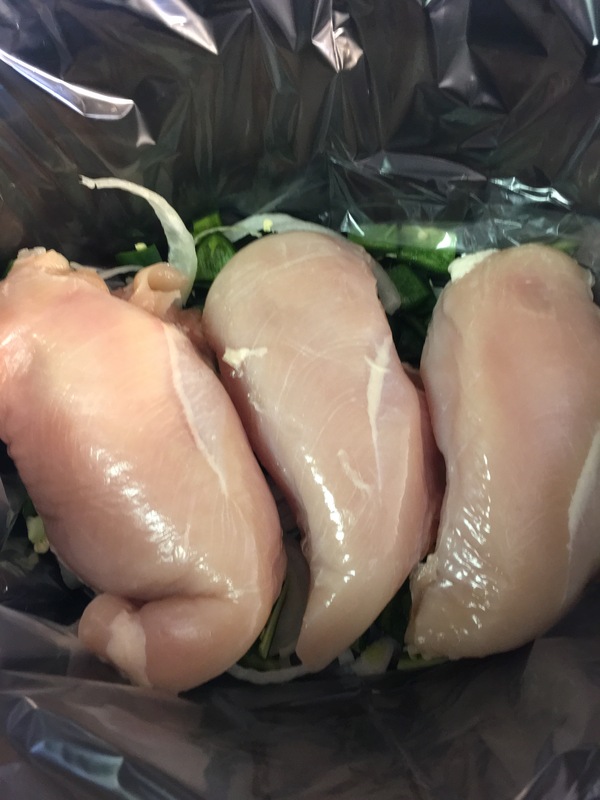 The chicken should reach an internal temperature of 165°F.